With over 230 million surgical procedures performed annually worldwide, better application of evidence in anesthesia and perioperative medicine may reduce widespread variation in clinical practice and improve patient care. However, a comprehensive summary of the complete available evidence has yet to be conducted. This scoping review aims to map the existing literature investigating perioperative anesthesia interventions and their potential impact on patient mortality, to inform future knowledge translation and ultimately improve perioperative clinical practice. Searches were conducted in MEDLINE, EMBASE, CINAHL, and the Cochrane Library databases from inception to March 2015. Study inclusion criteria were adult patients, surgical procedures requiring anesthesia, perioperative intervention conducted/organized by a professional with training in anesthesia, randomized controlled trials (RCTs), and patient mortality as an outcome. Studies were screened for inclusion, and data was extracted in duplicate by pairs of independent reviewers. Data were extracted, tabulated, and reported thematically. Among the 10,505 publications identified, 369 RCTs (n = 147,326 patients) met the eligibility criteria. While 15 intervention themes were identified, only 7 themes (39 studies) had a significant impact on mortality: pharmacotherapy (n = 23), nutritional (n = 3), transfusion (n = 4), ventilation (n = 5), glucose control (n = 1), medical device (n = 2), and dialysis (n = 1). By mapping intervention themes, this scoping review has identified areas requiring further systematic investigation given their potential value for reducing patient mortality as well as areas where continued investment may not be cost-effective given limited evidence for improving survival. This is a key starting point for future knowledge translation to optimize anesthesia practice. With more than 230 million major surgical procedures performed annually worldwide , better application of evidence in anesthesia and perioperative medicine has the potential to significantly improve patient safety, care, and satisfaction [2, 3]. Currently, as with many other specialities, anesthesiologists have large variations in practice and patient outcomes [4–7], with many examples of failure to follow best practices [8, 9]. For instance, the maintenance of perioperative normothermia has been shown to decrease the rate of surgical site infection by threefold [10–15]. However, while effective tools for maintaining normothermia exist, perioperative hypothermia continues to affect up to 20% of patients . Clearly, the mere existence of best clinical evidence does not mean that it will be adopted into practice or improve patient outcomes . Knowledge translation (KT) [17, 18] focuses on the effective implementation of best clinical practices, moving evidence to practice . In anesthesiology, there have been few previous attempts to summarize comprehensively the broader peer-reviewed literature and those articles which have been published face methodological limitations [20, 21]. A comprehensive summary of the complete available evidence related to mortality has yet to be conducted. Scoping reviews have been specifically described as a process of mapping the existing evidence, by providing a comprehensive and thorough review of the available literature . They are particularly useful for complex fields, such as anesthesiology and perioperative medicine . Unlike systematic reviews, scoping reviews summarize a range of evidence in order to convey the breadth and depth of evidence in a certain field . In addition, scoping studies differ from systematic reviews because they address broad research questions and do not typically quantify the effect of interventions [24, 25]. Instead, a scoping review examines the extent, range, nature, and characteristics of the primary research and summarizes the evidence . Scoping reviews are often preliminary to full systematic reviews when the field of research is broad and complex, such as anesthesiology and perioperative medicine, making the feasibility of a systematic review a concern because the potentially relevant literature is thought to be especially vast and diverse. This scoping review is reported according to the PRISMA Extension for Scoping Reviews (PRISMA-ScR) Checklist . We also followed the current framework developed by Arksey and O’Malley  and Levac et al. in conducting this review. In order to achieve the purposes of the scoping review, we employed a five-stage framework: (1) identify the research question, (2) identify relevant published studies, (3) refine the study selection criteria, (4) collect the relevant data from each published article, and (5) collate, summarize, report, and interpret the results. Based on the existing gaps in the literature, we asked the following research question: What types of anesthesia-related interventions impact patients’ mortality? Based on the existing gaps in the literature, we asked the following research question: What types of anesthesia-related interventions impact patients’ mortality? We selected all articles published in journals that involved adult patients (≥ 16 years old) undergoing surgery and that evaluated an anesthesia-related intervention. Anesthesia-related interventions were defined as interventions provided in the perioperative period that either were, or could have been, performed, organized, or initiated by a healthcare professional with specific training in anesthesia. For example, the following interventions were included: perioperative administration of antibiotherapy , intraoperative remote ischemic preconditioning , and postoperative ventilation support . Furthermore, studies involving surgical procedures involving local anesthesia only were excluded, as well as studies reporting perioperative interventions that are exclusively interested in comparing different surgical techniques (e.g., laparoscopic versus open surgery). The perioperative period referred to the time window from the initial preoperative anesthesia assessment before the surgery to the final care provided or organized by anesthesia providers following surgery. Therefore, the perioperative period was separated into three distinct phases: preoperative, intraoperative, and postoperative. We focused on the studies assessing mortality as an outcome and included randomized controlled trials (RCTs). The comparator group of the RCT was defined as either no treatment or usual standard of care. We did not impose a minimum sample size for included studies. The initial search strategy was developed with the active contribution of experts in the methodology of conducting reviews (AS), a practicing anesthesiologist (SB), and a health sciences librarian (LAH). The electronic databases MEDLINE, EMBASE, CINAHL, and the Cochrane Library were searched. Literature searches were performed without any language restrictions, but we only included articles published in English. The literature search was performed on March 5, 2015, without any year restriction. The MEDLINE search strategy underwent Peer Review of Electronic Search Strategies (PRESS) by a second trained information scientist [31, 32]. Search strategies can be found in Additional file 1. Reference lists of relevant systematic reviews were also searched to identify additional relevant studies. The final list of the included studies was also reviewed by the Perioperative Anesthesia Clinical Trials Group (PACT) for both completeness and relevance. The identified articles were merged into the web-based systematic review software DistillerSR (Evidence Partners, Ottawa, Canada), and duplicates were removed. The screening tools were developed by the research team and piloted with a subset of articles for refinement and reviewer calibration. Reviewers were trained on how to use DistillerSR (Evidence Partners, Ottawa, Canada) and to critically appraise articles according to the inclusion and exclusion criteria of this scoping review. Articles were screened for eligibility by title and abstract by two individuals using the liberal accelerated screening approach . This approach involved one reviewer screening citations by title and abstract using the screening tool based on the predetermined criteria. The selected studies classified as either “included” or “unclear” advanced to the subsequent screening stage. However, studies classified as “excluded,” were reviewed by the other reviewer to determine whether the exclusion criteria were properly met. Following the completion of the title and abstract screening stage, the full texts of all qualified studies were reviewed in duplicate by six pairs of independent reviewers (DN, AB, SB, IC, CM, IM, TP, BW, SL, KM, JDW, NB) for compliance with eligibility criteria. Disagreements were resolved by consensus or referred to a third member of the research team for resolution. The list of included articles was reviewed by the investigators to determine if any additional articles should be included . The accuracy of the included and excluded studies was verified using the artificial intelligence feature of DistillerSR (Evidence Partners, Ottawa, Canada). A data extraction form was created and piloted by the research team. Six pairs of reviewers (DN, AB, SB, IC, CM, IM, TP, BW, SL, KM, JDW, NB) independently extracted the study characteristics and the mortality outcome from the included studies. We collected information on publication details (e.g., first author’s name, year of publication, study location) and information about the study details (e.g., study design; sample size; gender; age; ASA score; intervention details, such as duration and type; setting; perioperative phase; anesthesia type; comparator; and mortality outcome details, such as timing). The significance of the intervention on mortality is reported according to how it was defined by the study authors. Where data was inadequately reported within the full-text article, we contacted the original authors for clarification and further details. Quality assessments of included studies were not reported because they are typically not completed during the scoping reviews . This scoping review allowed for the development of anesthesia-related intervention themes that outline what evidence levels currently exist as well as the potential gaps in anesthesia research that may be further explored. Interventions were classified according to these themes and defined in Additional file 2. A list of themes was determined a priori, and reviewers could add new themes when a study did not fit any a priori theme. The results of this scoping review were synthesized using both a numerical summary outlining the relevant characteristics of the included studies and a narrative synthesis interpreting the results (Additional files 3 and 4). The literature search strategy yielded a total of 10,505 references, of which 1270 were duplicates. Nine additional studies were identified: eight from the reference list of a relevant systematic review and one identified by experts. After screening, 8768 references were excluded. A total of 369 references met the inclusion criteria (Fig. 1). The AI feature on DistillerSR (Evidence Partners, Ottawa, Canada) confirmed that all inclusions and exclusions were correct (i.e., the AI system did not identify any articles erroneously included or excluded by the human screeners). Details of the included study characteristics, participants, type of surgery, study design, and interventions are provided in Additional file 1. Of the 369 studies, 331 indicated data collection occurred in a single country. These locations are displayed in Fig. 2. One study did not report country of data collection. The remaining 37 studies indicated data collection was performed in more than one country. The largest number of trials was conducted in the USA (n = 69). Multicenter trials were conducted in 102 studies, with the remainder involving a single center. The 369 trials included a total of 147,326 participants (median 123, IQR 60–272). The most common anesthesia-related intervention theme found was pharmacotherapy (201 included studies [54%]; 104,413 patients [71%]) followed by nutritional interventions (28 studies [8%]; 5191 patients [4%]) (Table 1). Most studies (n = 180 studies [49%]; n = 95,119 patients [65%]) involved interventions spanning more than one perioperative phase (i.e., various combinations of preoperative, intraoperative, and postoperative phases) (Table 2). The most common type of surgery reported was cardiac surgery (n = 151 studies [41%]; n = 63,738 patients [43%]), followed by general surgery (n = 66 studies [18%]; n = 13,458 patients [9%]) and vascular surgery (n = 31 studies [8%]; n = 6404 patients [4%]). The vast majority of included studies showed no statistically significant effect on mortality (n = 330 [89%] studies; n = 117,905 [80%] patients). Only 39 studies (11%) representing 29,421 patients (20%) reported a significant difference in mortality, with either a decrease (n = 30 [77%] “significant” studies; n = 10,660 [36%] patients), an increase (n = 8 [21%] studies; n = 18,459 [63%] patients), or both depending on the time at which mortality was measured (n = 1 [3%] study; n = 302 [1%] patients). The following intervention themes were represented: pharmacotherapy (n = 23 [59%] studies; n = 23,322 [79%] patients), nutritional (n = 3 [8%] studies; n = 797 [3%] patients), transfusion (n = 4 [10%] studies; n = 1558 [5%] patients), ventilation (n = 5 [13%] studies; n = 1602 [5%] patients), medical device (n = 2 [5%] studies; n = 550 [2%] patients), dialysis-related (n = 1 [3%] study; n = 44 [0.1%] patients), and glucose control (n = 1 [3%] study; n = 1548 [5%] patients). Only seven themes were represented among the anesthesia interventions that were associated with altered mortality rates (Fig. 3). For each intervention theme, we discuss only those studies that reported a statistically significant effect on patient mortality. As shown in Table 3, a total of 23 publications (23,322 patients) were identified for anesthesia-related pharmacotherapy interventions which significantly impacted mortality. Of these studies, 6 (26%) reported an increase in mortality (n = 17,050 [73%] patients) while 17 (74%) reported a decrease in mortality (n = 6272 [27%] patients). Most studies that reported a significant impact on mortality (n = 15 [65%]; n = 13,368 [57%] patients) reported mortality as a primary outcome. The most frequent type of surgery involved was cardiac (n = 10 [43%]; n = 12,045 [52%] patients). Pharmacotherapy interventions involved a wide variety of pharmacotherapy and dosing regimens, with the interventions most commonly occurring across more than one surgical phase (n = 18 [78%]; n = 13,302 [57%] patients). IV clevidipine at an initial rate of 0.4 mcg/kg/min, titrating to antihypertensive effect to a max dose of 8 mcg/kg/min. Three comparator groups of common (usual care) perioperative antihypertensives: nitroglycerin, sodium nitroprusside, and nicardipine. Dopexamine infusion to achieve oxygen delivery (DO2I) of greater than 600 mL/min/m2, perioperatively, in high-risk patients. Iloprost (intra-arterial, intraoperative bolus) of 3000 ng, plus intravenous infusion of 0.5–2.0 ng/kg/min. Starting from the first day after surgery, a daily 6-h intravenous infusion of iloprost (or placebo) at doses recommended for chronic critical limb ischemia was performed for 4 to 7 days (7 days recommended). Aprotinin: test dose of 40,000 KIU administered during a 10-min period after insertion of central venous line and induction of anesthesia. If no anaphylactic reaction remained for loading dose (1.96 million KIU) given followed by maintenance infusion of 500,000 KIU/h and maintained during surgery. Group 1 received aspirin preoperatively while in group 2, aspirin was stopped at least 7 days before CABG. Bolus of sodium bicarbonate (0.5 mmol/kg in 250 mL over 1 h) at induction followed by an infusion over the next 23 h (0.2 mmol/kg/h in 1000 mL). Patients received nadroparin 85 U/kg SC q12h. Usual care: patients received unfractionated heparin IV to maintain APTT at 2.5 the normal value. Continuous insulin infusion titrated per protocol in the perioperative period (Portland protocol) to maintain blood glucose between 100 and 150 mg/dL. Subcutaneous insulin was injected every 4 h in a directed attempt to maintain blood glucose levels below 200 mg/dL. Intravenous cariporide (180 mg in a 1-h preoperative loading dose, then 40 mg/h over 24 h and 20 mg/h over the subsequent 24 h). Aprotinin (IV bonus of 2 million KIU followed by a 0.5 million KIU per but infusion). Dobutamine at either 3 mcg/kg/min or 5 mcg/kg/min. Injections of fondaparinux 2.5 mg (fondaparinux sodium, Arixtra, GlaxoSmithKline, Research Triangle Park, NC, USA). 0.2 mg oral tablet of clonidine (Catapres; Boehringer Ingelheim, Ridgefield, CT), a 7.0-cm2 transdermal patch of clonidine (Catapres-TTS-2; Boehringer Ingelheim), providing continuous systemic delivery of 0.2 mg/day, and an oral loading dose of clonidine, 0.2-mg tablet (Catapres). 1 L of Hartmann’s solution during line insertion. Human albumin solution 4.5% was then infused until a pulmonary artery occlusion pressure of 12 mmHg was achieved. If hemoglobin concentration was < 110 g/L, red blood cells were transfused instead of the albumin solution. If oxygen saturation was < 94%, supplemental oxygen was provided. Inotrope was commenced at a rate (mL/h) calculated from a chart according to the patient’s weight and equated to 0.025 ìg/kg/min for adrenaline. The infusion was increased by single multiples of the initial rate until the target oxygen delivery of > 600 ml/min/m2 was achieved or the onset of side effects was noted (increase in heart rate > 30% above baseline or development of chest pain or a new dysrhythmia). All patients were started on the study inotrope even if the target oxygen delivery had been achieved after the fluid phase. Minimum of 4 h before surgery, continued for at least 12 h afterwards. Table 4 reports the three nutritional interventions (n = 797 patients), identified as having a significant impact on mortality. Of these studies, one (33%) reported an increase in mortality (n = 27 [3%] patients) , one (33%) reported a decrease in mortality (n = 468 [59%] patients) , and one (33%) reported an increase in mortality in-hospital, but a decrease in deaths occurring at 4 months (n = 302 [38%] patients) . Each study implemented a distinct nutritional intervention, and each involved a different field of surgery (thoracic, orthopedic, cardiac, colorectal). Mortality was reported as a primary outcome in two of the studies, with both finding an increase in mortality. Of the three different nutritional interventions, two were given pre- and postoperatively and one was given postoperatively only. As shown in Table 5, four transfusion interventions demonstrated a significant decrease in mortality (n = 1558 patients). Two studies involved transfusion of leuko-depleted red blood cells during cardiac surgery [38, 39]. Each study assessed mortality as a secondary outcome, either in-hospital or until 60 days following surgery. Another study  involved orthopedic surgery and the perioperative transfusion of hemoglobin at a threshold of 10.0 g/dL. Mortality was assessed as a secondary outcome at 30 days. The final study  involved pre- and postoperative administration of subcutaneous erythropoietin (r-HuEPO at 300 IU/kg) plus IV iron (100 mg). Survival at 1 year was assessed, but it was not reported whether this was a primary or secondary outcome. Leuko-depleted red blood cell transfusion. Platelet concentrates were prepared from pooled buffy coats and were all leukocyte-depleted by filtration (< 1 × 106 leukocytes per product) before storage. Standard buffy coat-depleted packaged cells. Receive transfusion at a hemoglobin threshold of 8.0 g/dL (restrictive) in the entire perioperative period. The intervention involved administration of subcutaneous erythropoietin (r-HuEPO at 300 IU/kg) plus IV iron (100 mg) for 7 days preop, and 7 days postop surgery for gastrointestinal malignancies. Received placebo medication subcutaneously and 100 mg iron intravenously each day. Five ventilation interventions (n = 1602 patients) had a statistically significant impact on mortality. Two were administered intraoperatively and postoperatively [42, 43], and three were administered only postoperatively [30, 44, 45] (Table 6). Non-invasive ventilation decreased in-hospital mortality in three studies (n = 183 [11%] patients) [30, 44, 45]. It was also found by one study to decrease mortality at 120 days . The intervention which decreased mortality at 60 days (n = 37 [2%] patients) involved intentionally increasing oxygen delivery to > 600 ml/min/m2 . The intervention which increased mortality at 2 years (n = 1382 [86%] patients) involved giving patients an FiO2 of 0.80 after intubation and for 2 h after surgery . All but one study  assessed mortality as a primary outcome. Increased oxygen levels to > 600 ml/min/m2 in patients post-major oncological or vascular surgery. Four studies investigating three other anesthesia-related interventions that statistically significantly impacted mortality are shown in Table 7 (n = 2142 patients). These included use of a device (n = 2 [50%], n = 550 [26%] patients) [46, 47], dialysis (n = 1 [25%], n = 44 [2%] patients) , and glucose control (n = 1 [25%], n = 1548 [72%] patients) . Intraoperative devices significantly decreased mortality in-hospital, at 30 days and at 1 year for patients who underwent cardiac surgery. Mortality was assessed as a secondary outcome in one study , while the other did not report whether it was a primary or secondary outcome . The dialysis intervention was implemented pre- and postoperatively, involved cardiac surgery, and showed decreased in-hospital mortality. It was not specified whether mortality was considered a primary or secondary outcome. Finally, the glucose control intervention was implemented postoperatively, did not report the type of surgery, and decreased mortality (primary and secondary outcome). Prophylactic preoperative hemodialysis for patients undergoing CABG surgery with underlying renal failure. Usual care: received postoperative dialysis if there was a 50% increase in serum creatinine from baseline or patient exhibited inadequate urine output less than 400 mL for 24 h despite correction of hemodynamic status and diuretic therapy. Remote ischemic preconditioning took place after induction of anesthesia and before skin incision. Three cycles of 5 min ischemia, achieved by inflation of a blood pressure cuff to 200 mmHg, followed by 5 min reperfusion while the cuff was deflated were applied to the upper left arm. Usual care: a continuous infusion of insulin (50 IU in 50 mL 0.9% NaCl) was started only if the blood glucose level exceeded 215 mg/dL, with the infusion adjusted to maintain the level between 180 and 200 mg/dL. In the intervention group, the intensive treatment approach was followed until the patient was discharged from the intensive care unit, at which point the conventional approach was adopted. 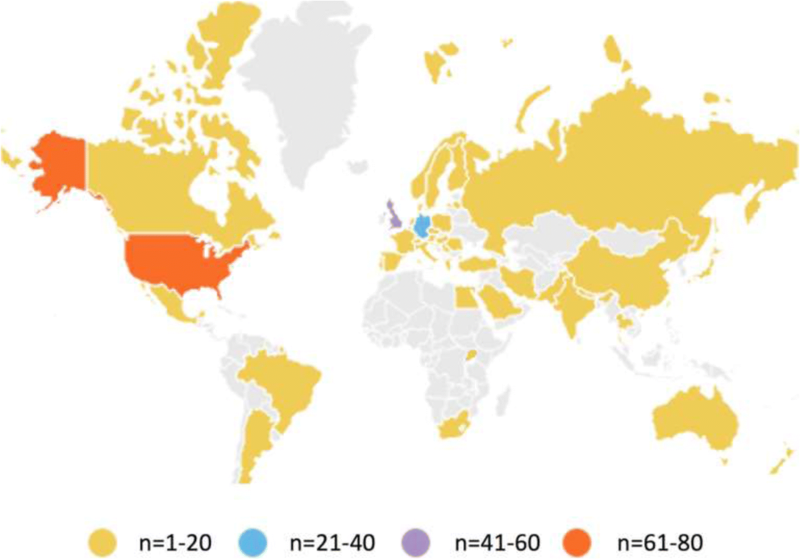 This scoping review presents the current evidence relevant to anesthesiologists and policy-makers, highlighting anesthesia-related evidence-based interventions that impact the mortality of adult surgical patients (n = 39 RCTs; 29,421 patients). 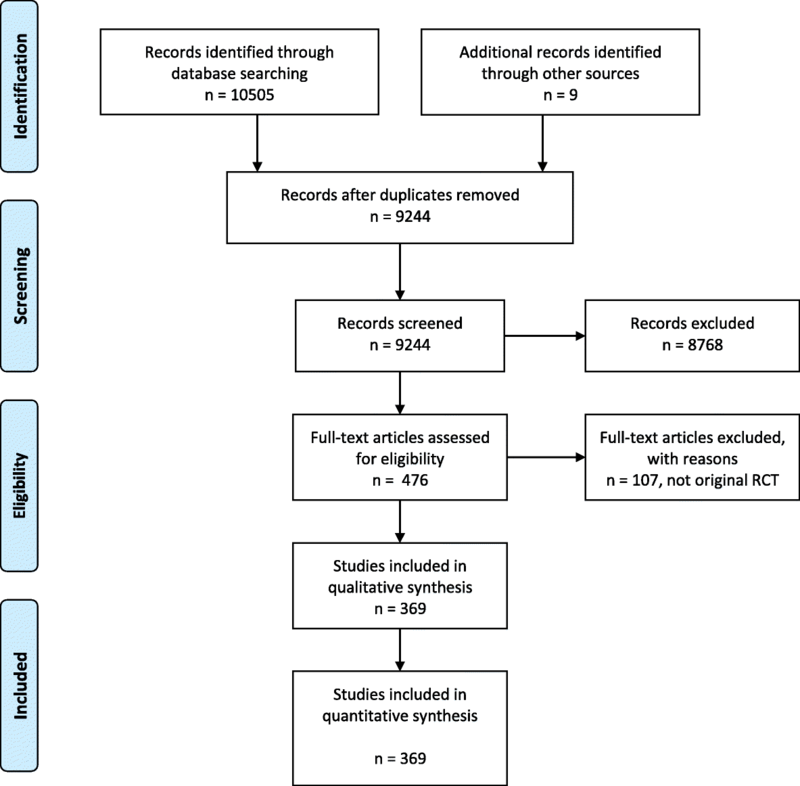 By identifying the nature and distribution of studies as well as the potential value of various anesthesia-related interventions for reducing mortality, this review can be used to identify future directions for perioperative research to translate evidence into practice and improve standardization of care. Among the 15 themes of anesthesia-related interventions identified, only 7 themes demonstrated a significant impact on mortality: pharmacotherapy, nutrition, transfusion, glucose control, device, dialysis, and ventilation. Each of these themes (with the exception of dialysis) was also identified by Landoni et al. in a recently updated consensus on randomized evidence for the reduction of perioperative mortality . The consensus process followed the first systematic review of RCTs on non-surgical interventions with mortality differences in the operative period . It is therefore a strength of our study to confirm the findings of Landoni et al. [21, 50] and to build upon this important foundation in perioperative research. We also included studies with non-significant findings in our review, which are important for practitioners to consider. Within the identified anesthesia-related intervention themes, 39 studies (29,421 patients) demonstrated an impact on mortality, either positive or negative. Of the 30 studies where the implemented intervention decreased mortality, 17 involved pharmacotherapies. Thus, pharmacotherapy interventions may have a great potential to reduce mortality among surgical patients. It is interesting to note that the importance of pharmacotherapy on mortality was also found by Landoni et al. . Although they used a different methodology and categorized interventions into different themes, Landoni et al. also found over half of the themes (7/13) related closely to pharmacotherapy. Thus, future research may investigate the generalizability of the effect of specific types of pharmacotherapy and dosages to perioperative survival in a broader variety of surgical populations. The institutional context where these interventions are applied may also require more systematic reporting and further investigations. For example, McIsaac et al. recently demonstrated that the “hip fracture surgery patients at hospitals that use more than 20 to 25% neuraxial anesthesia have improved survival independent of patient-level anesthesia type and other confounders” . Although broad categorizations of interventions are a useful starting point, one may hypothesize that other traditionally overlooked variables may need to be accounted for to better understand the effect of an intervention. For example, variables such as the type of institution, the implementation process of implementation, or local organization of care may help understanding the part of the effect of an intervention. In addition to pharmacotherapy, other intervention themes were found promising to reduce mortality: ventilation, transfusion, nutrition, glucose control, dialysis, and medical device. Though these themes had a limited number of studies demonstrating a decrease in mortality, they may be encouraging to investigate further. For example, systematic reviews may explore nutritional or ventilation-related interventions to precisely identify promising practices within these themes that improve morbidity in addition to mortality. This is particularly important given the perceived importance of many of these interventions to practicing clinicians as determined in the Landoni et al. consensus study . Clearly establishing the benefits of these types of interventions is important to facilitate their widespread uptake by clinicians if supported by the available evidence. Though many promising types of interventions were identified, it is noteworthy that none of the included RCTs investigated the impact of “non-traditional interventions” such as team training  or hypnosedation  on perioperative mortality. These types of interventions may require more exploratory work in perioperative medicine and could be used in future knowledge translation initiatives if found to be effective. It is also interesting to note that the vast majority of included studies investigated a single type of intervention. Given the low mortality rate in perioperative medicine, at least in high-income Western countries, it may be useful in the future to combine themes and interventions in bundle or multifaceted interventions to further decrease mortality with adequate power. An additional target for improvement in perioperative research highlighted by our scoping review is standardization in outcome measurement. Even with mortality as an outcome, we observed variability in the definition used based on the time window, cause of death, or mode of data collection considered. A common, well-accepted definition of outcomes may facilitate interpretation of future studies. To this end, several recent initiatives have been launched to tackle the issue of core outcome selection and definition [54–57]. Mortality has been identified as a core outcome measure within these initiatives, but as this scoping review demonstrates, the perioperative and anesthesia-research community must still determine the most effective way to measure and report it. This could have significant implications for interpretations of intervention effectiveness. Our scoping review should be interpreted in light of several limitations. Firstly, the majority of published studies were not sufficiently powered to observe a statistical impact on mortality; the sample sizes were small, on average. Perioperative mortality is increasingly rare and is estimated at only 0.1 to 0.2% of healthy elective patients when measuring in-hospital mortality  and around a 4% 1-year mortality rate after major non-cardiac surgery . While only 39 included studies found a significant impact of the intervention on mortality, this may be due to the fact that most studies included mortality as a non-primary outcome. The lack of power to assess mortality may have resulted in a type II error (i.e., failure to observe a difference where one exists). However, this scoping review should be considered as an initial step to guide the field of perioperative research. Secondly, for feasibility reasons, we elected to include only RCTs that considered mortality outcome. There are of course many other meaningful outcome measures that are clinically relevant to surgical patients. However, mortality may be appropriate as a starting point. Thirdly, although we followed rigorous and standardized methods, it is likely that relevant studies were missed. Due to the process of conducting systematic and scoping reviews through a literature search strategy and screening, studies could not be included if neither the title nor the abstract mentioned any term related to mortality. For example, some studies mention somewhere in the results section an absence of deaths during the study, although mortality was not reported in the title or abstract, or included in the methods . Nevertheless, when the title, abstract, and/or keywords of a study do not accurately reflect all outcomes examined, this presents a significant challenge for literature analysis in anesthesia and increases the potential for missing studies. It is also possible that some articles may not have had appropriate perioperative subject headings in MEDLINE or perioperative keywords included in the abstract, which would have resulted in them not being retrieved by our search. Future work in anesthesia should aim to accurately index all RCTs. A search filter developed specifically for anesthesia would also be of value and should consider subject headings for the perioperative period that reference preoperative, intraoperative, and postoperative time frames. To mitigate the current problem of standardized literature searching in anesthesia, we used artificial intelligence and expert review. Finally, there are limitations to the depth of analysis for a scoping review. Therefore, as per scoping review methods, the intention is to map out a field of evidence rather than to thoroughly analyze each trial. The identification of gaps in the existing literature should be cautiously interpreted since the quality of evidence is not typically assessed during scoping reviews . These last two limitations may lead to misleading conclusions about the nature and extent of the gaps in the present research. However, the information reported in this scoping review provides a broad overview about the nature and distribution of studies involved with perioperative anesthesia interventions. Future steps could include systematic reviews on individual themes to provide more specific insight into these questions with a narrower focus. Future systematic reviews conducted to formally synthesize specific intervention themes identified by this scoping review should examine clinical, methodological, and statistical heterogeneity and conduct meta-analyses as appropriate. This scoping review described intervention themes based on existing anesthesia research. As a result, it has identified areas requiring further systematic investigation given their potential value for reducing patient mortality as well as areas where continued investment may not be cost-effective based on limited or no evidence for enhancing patient outcome. Accordingly, this scoping review provides a starting point for future knowledge translation designed to optimize anesthesia practice. The authors thank Lee-Anne Ufholz, information specialist, for her help with the literature search. This research was funded by a University of Ottawa Anesthesia Research operating grant. Drs. Boet, Lalu, and McIsaac were supported by the Ottawa Hospital Anesthesia Alternate Funds Association, and Dr. Boet was also supported by the Canadian Anesthesia Research Foundation through the Canadian Anesthesiologists’ Society (CAS) Career Scientist Award in Anesthesia. DSR licenses were funded by the Department of Anesthesiology and Pain Medicine of The Ottawa Hospital. All authors have a substantial contribution to the conception and design, acquisition of data, or analysis and interpretation of data; drafted the article and revised it critically for important intellectual content; approved the final version to be published; and agreed to be accountable for all aspects of the work thereby ensuring that questions related to the accuracy or integrity of any part of the work are appropriately investigated and resolved. Neily J, Mills PD, Young-Xu Y, et al. Association between implementation of a medical team training program and surgical mortality. JAMA. 2010;304(15):1693–700. https://www.ncbi.nlm.nih.gov/pubmed/20959579.